The BCA Indonesia Open 2017, which ended Sunday, June 18, once again made global headlines as one of the sport’s premier events with many of the world’s top players pitted against each other. But two competitors will not leave the tournament with fond memories. Danish Men’s Doubles pair Mathias Boe and Carsten Mongensen hit back at Indonesian netizens who had made death threats against Boe. He said he had received hundreds of threats across social media. “I got many threats on my life on my Instagram, Twitter and Facebook accounts,” he said during a press conference following the pair’s finals loss to China. He called the behaviour obnoxious and annoying and said that the attackers had no respect for him or his country, Denmark. Boe said spectators had also hurled abuse during the match. “I also get this ‘Go home, Denmark! Go home!’ from the spectators. Some were also being disrespectful towards my country,” he said. 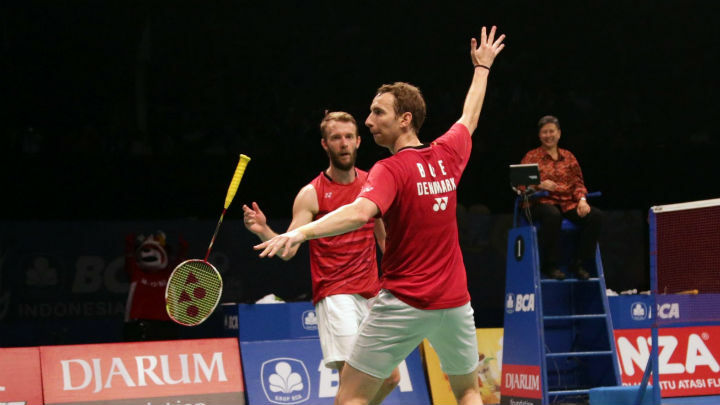 While he noted disliking some teams is part of the badminton tournament world, Boe said the threats were too far. This type of harassment could led to jail time in Denmark, he added. “If you think that’s funny, then you should also get some proper education from your parents or whoever you talk to,” Boe said before leaving the press conference.